Tutorials are constantly found on the Internet on how Dry Aged Meat can be matured in the refrigerator. Maybe, for individual cases, this is an alternative, but this does not replace the dry-aging fridge, as it holds a high risk for germs to contaminate the meat and therefore making it inedible. In order to produce a correct maturity, the Dry Aged Beef needs not only cool but also clean air- and that only happens in a special dry-aging fridge like the DRY AGER. For successful results in dry-aging meat, you need low temperatures. A range between +1,5°C and +2°C are regarded as being ideal and in addition these can be held to precisely within a tenth of the appropriate temperature. Theses temperatures can not be obtained with a normal refrigerator that has a thermostat- controlled regulation, even electronically controlled refrigerators have a fluctuation range of many degrees which prevents a professional Dry-Aging. Apart from the temperature, the right and accurate humidity is also decisive for Dry-Aging. The ideal air circulation aligned to the meat is an important factor which cannot be achieved with a refrigerator. Should mould develop, this can very quickly make the meat inedible and even be a danger to our health. Therefore a high- class dry-aging fridge is also a climate cabinet. The humidity is controlled, sterilised and unnecessary moisture extracted and returned to the air-circulation without needing a water-connection, a complicated process, which makes it possible to produce delicious smelling Dry-Aged Beef. Not only do the developers of the DRY AGER understand the tricky task of producing the perfect climate in the fridge, they also know how to keep it constant. 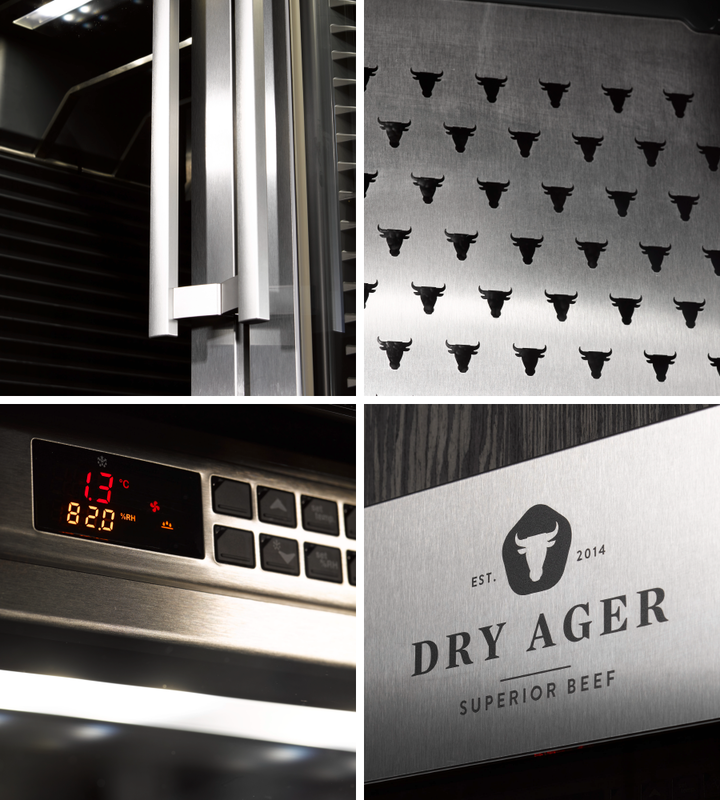 The DRY AGER FRIDGE is equipped with the ideal technology to complete this task. The electrical temperature control operates in 0,1 degrees stages and counterbalances the difference in external temperatures. The technical highlight is the Humicontrol- the air-circulation system. It does not need to be connected to the water mains and is able to be regulated in a range between 60 and 90 percent. Due to a legally protected intergrated DX AirReg technique, with activated-carbon filter and sterilisation box, the air is kept clean in the dry-aging fridge. In order to keep the hygienic requirements stable, the dry.aging fridge needs the correct care and maintenance. The optimised, continuous climate requirements are not only suited for Dry Aged Meat. Cured meats and hams can also be perfectly matured. The Dry Ager is not only a maturing cabinet, but also a climate cabinet. Fresh herbs can be kept longer and fruit and vegetables are kept in sterilised conditions and are stored at a constant temperature. 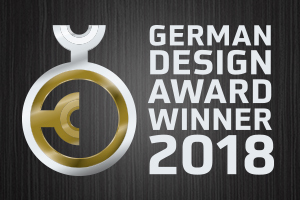 In addition, the DRY AGER appearance is excellent, which the award at the German Design Award 2018 proves.